This fountain issues a soothing flow of LED-illuminated water that cascades over four courses, powered only by the sun. 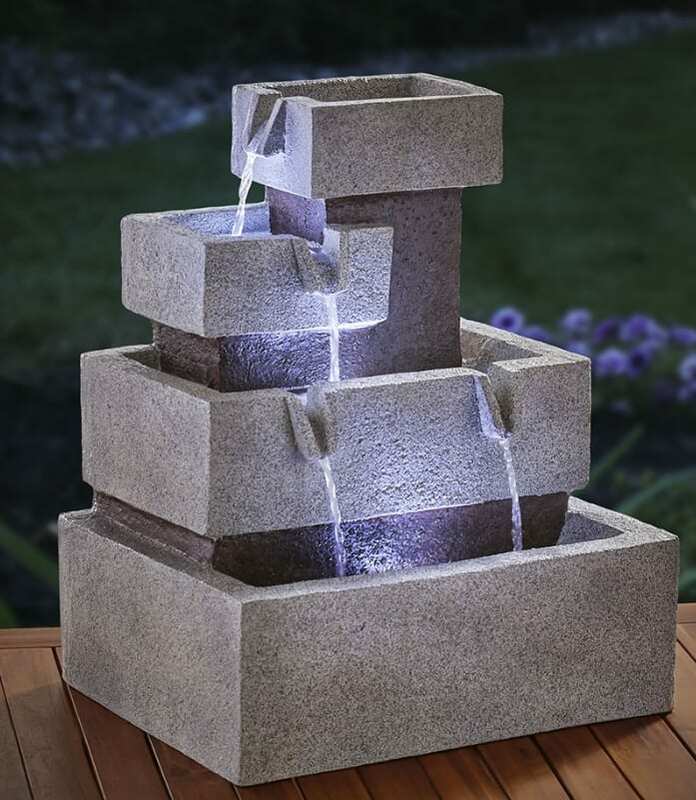 Sculpted from weatherproof resin to suggest cut stone, the fountain’s tiers are crafted with scuppers that allow water to partially fill each tier’s basin before draining to the next lowest tier. The result is a neverending flow of rippling water (provided by a concealed, solar-powered pump) backlit by cleverly placed LEDs that provide an ambient glow. Solar panels setup near fountain with 9 1/2′ cord; fully charged battery provides up to eight hours of operation.